We all know how hard it is to get kids to do what’s good for them. That’s why we try to make it fun whenever possible. For example, we have toys for the bathtub and vitamins that look like cartoon characters. Now parents have a new weapon in the fight against cavities—entertaining dental phone apps. These delightful games can teach kids good dental habits and remind them to brush thoroughly every day. Check out these three delightful dental apps designed to help your kids practice good oral hygiene. We hope you find them useful. Everybody love puppies, right? Puppy Dentist is a free online game suitable for kids ages 4 and older. No, it’s not a game about puppies who practice dentistry. Instead, this app allows kids to pretend that they are dentists whose clients are puppies. With Puppy Dentist, kids get to choose which puppy patient they want to treat. From the point of view of the dentist, kids work to eliminate the monsters that are attacking the puppy’s teeth. Kids who use the app get to perform several dental duties employing a variety of dental tools—from cleaning teeth to taking x-rays to filling cavities. Puppy Dentist is fun and educational and the graphics are impressive. It teaches kids about the consequences of not practicing effective oral care. The app also helps them appreciate the work that a dentist does. My Virtual Tooth—Virtual Pet is another free app that teaches kids about the importance of good oral hygiene. Suitable for kids from preschool age through the early grades, this is a delightful app. “Dee,” the adorable personified virtual tooth, is like a pet that your kid can take care of. Research indicates that how long you brush is one of the most important factors in practicing effective dental care. That’s why apps that get kids to brush longer are so valuable. Disney’s Magic Time by Oral-B is a fantastic aid for parents to help make sure that their kid spend enough time brushing their teeth. Disney Magic Timer is free and it’s appropriate for younger kids, ages preschool through early grades. Coming from Disney, the app is sure to keep kids interested by entertaining them while they brush. The app employs 23 well-known Disney characters. We hope these dental apps are useful for getting your kids to learn about and practice good dental hygiene. 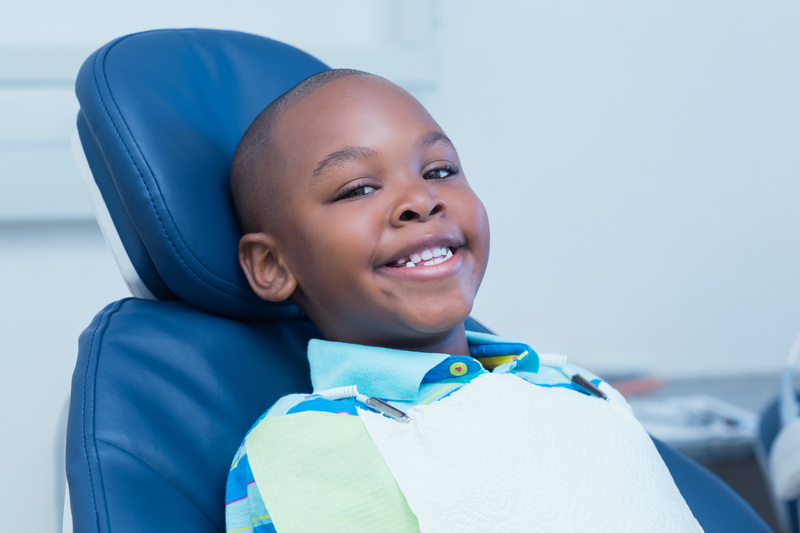 Another great way to protect your kids from cavities is to take them to the dentist for regular checkups. Why not give us a call at Family and Implant Dentistry to schedule an appointment today?